The Mendel Gottesman Library, research center and student hub at Yeshiva University’s Wilf campus, will soon undergo a major renovation. Thanks to a generous donation from David S. Gottesman, former chairman of the YU Board of Trustees, and his wife, Ruth, the library is receiving a complete overhaul that will see the ground level through the fourth floor revamped. Mr. Gottesman, a grandson of Mendel Gottesman, also participated in the planning and design of the library. Months of preparation and research went into the planning of the renovation. Focus groups of students, faculty and staff were charged with the task of making recommendations for changes that would meet the evolving needs of the library’s users—both from a physical perspective in the actual design of the building as well as technological considerations. Visits were made to other university libraries and consultations were held with Aaron Cohen Associates, who are library experts, as well as with leading designers and architects to evaluate different models. These efforts culminated in June 2012 with a summary report and master plan that proposed major changes in the look, feel and orientation of the library. The report also found that there wasn’t adequate space for group study and that the overall atmosphere could be enhanced. The architectural firm ROART developed the designs in coordination with Robert Salpeter, the University’s director of planning, design and construction. The designs were then vetted by the library professionals and University leadership. In October, R&S Construction firm was chosen to complete the project. The renovations are scheduled to begin in January and are expected to take up to two years. Although significant changes will be made, the building and most of its facilities will remain accessible during this period. 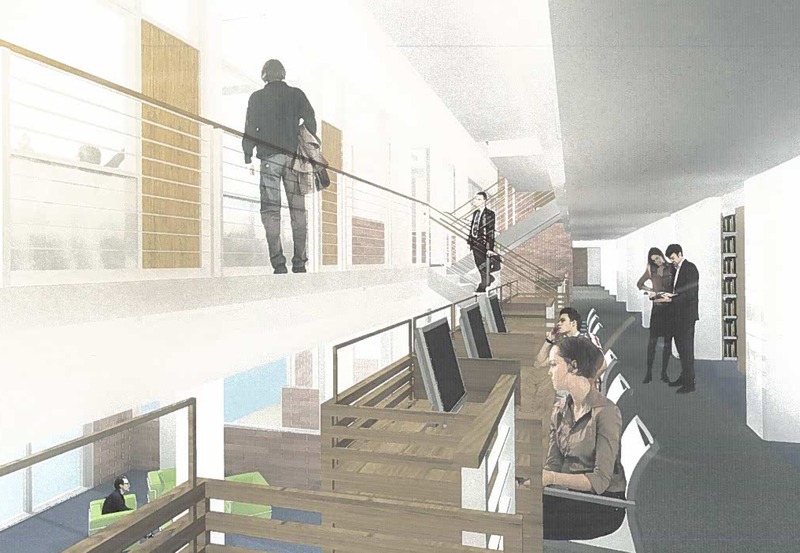 Highlights of the renovation will include the creation of an information commons area with over a dozen group study and project rooms of varying sizes where students and faculty can collaborate. 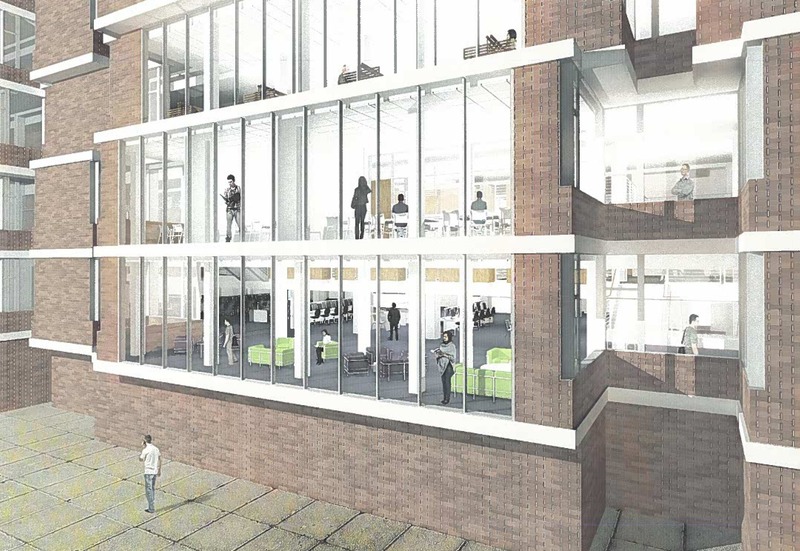 Large windows will be installed to allow more natural light in, as well as a number of different seating areas, additional carrels and workspaces to accommodate larger numbers of students. The digital infrastructure will be upgraded to ensure a high-speed pathway for current and future technology. Additionally, there will be new bathrooms for men and women, with handicapped-accessible features. The new design will also ensure that the library staff will be more accessible to students in areas where more service is required.